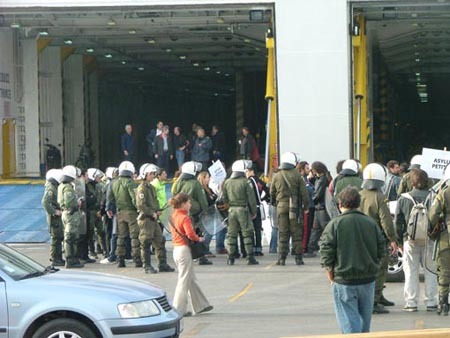 12.Apr.05 - Two weeks ago 107 migrants reached the island of Crete. 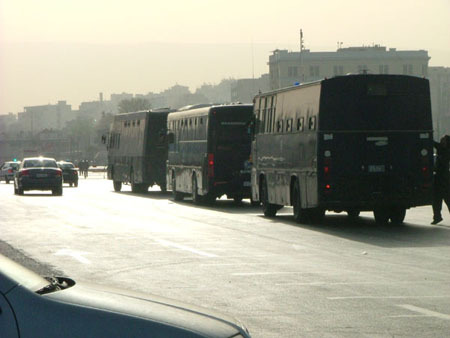 They claim to be from palestine and they were held in a hotel. None could get to them, either from Amnesty nor from the Municipality. 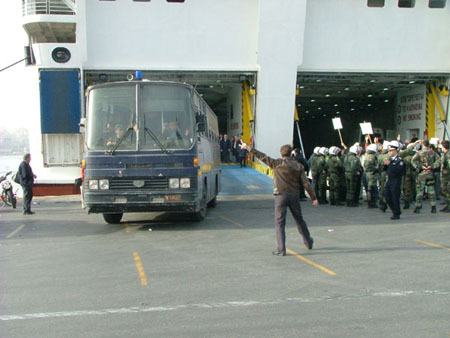 The head of thew police station told them they would permit them to get a contact on Monday morning and give thwn the asylum petitions but the previous night, on Sunday, put them in a ship and they were send in Athens to be deported from here. 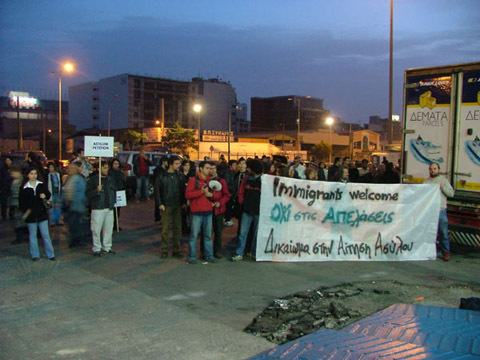 antiracist organisations went to the port on Sunday night but they were thrown out very violently by the police. We went to the port to "welcome" them but as we were only about 30 people we could not do much when the ship reached the port at about 5:00 in the morning.